New computer came last week. It's very nice, and very powerful. Lots of things work really well now and it's actually helped drawing a bunch. Though it took a while to setup. Course, all this power wasn't just to make Clip Studio run better. Lookin forward to Mortal Kombat tomorrow. 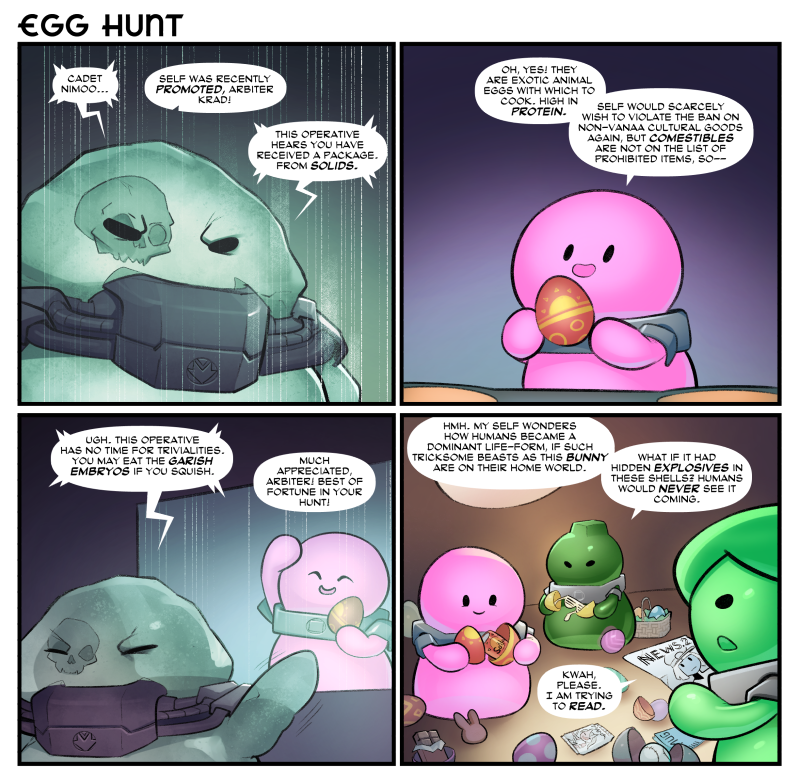 Yes, our Easter comic is a day late. So I guess it's an Earth Day comic. Yay, trees! No, seriously though, pick up a piece of trash or something that nobody asked you to, make it your good deed for the day. You'll feel nice.